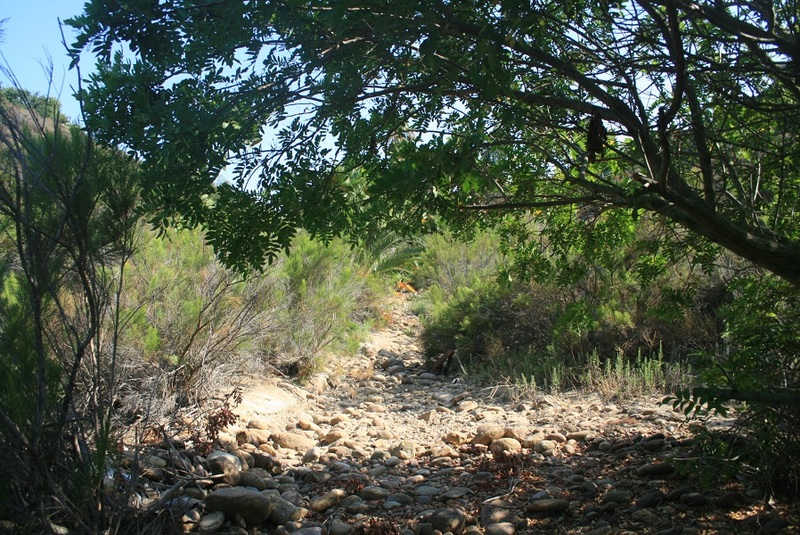 Location: Mission Trails Regional Park, San Diego. From points east, take the 125 Freeway to the Navajo Road exit. Head west for 2 miles and turn right onto Golfcrest Drive. 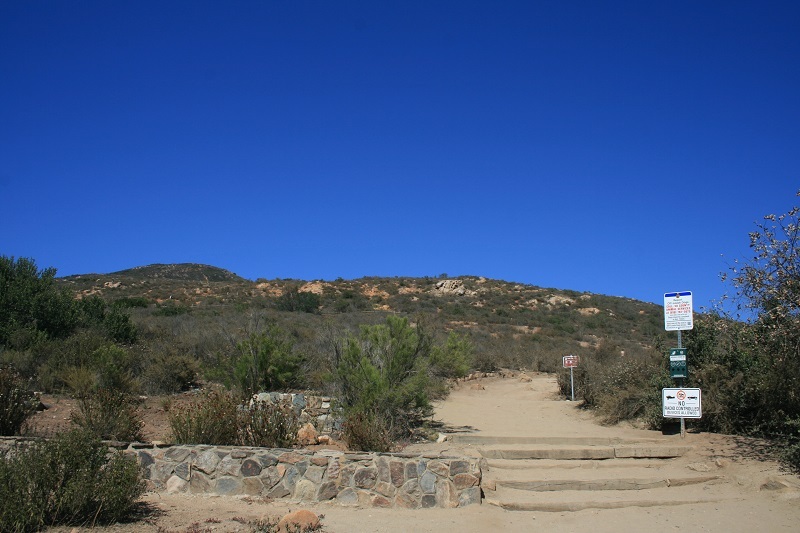 Make an immediate right into a large parking area with restrooms and vending machines where you will find the Cowles Mountain Trail Head. From downtown San Diego, take I-8 to College Ave. Turn left and follow College Ave. 1.3 miles to Navajo Road. Go 2 miles and turn left onto Golfcrest Drive and make an immediate right into the parking area. 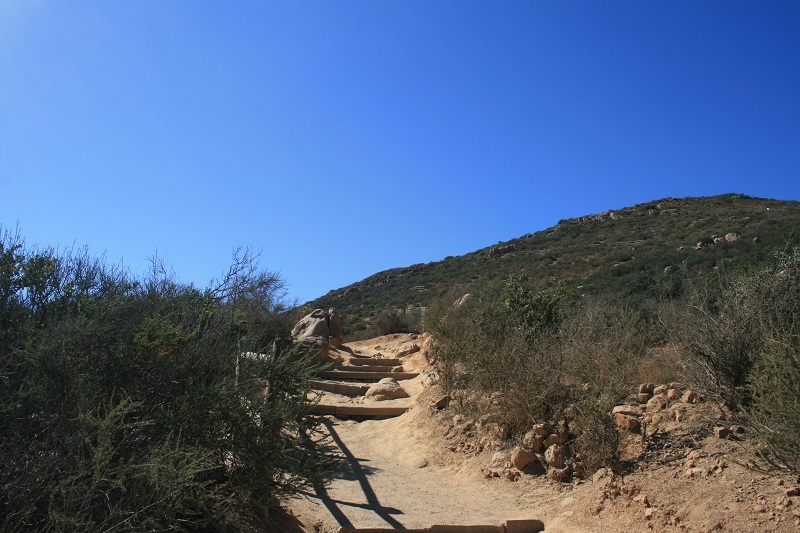 Panoramic views, a convenient location and a well-graded trail that offers a good workout without being too strenuous are factors that make the south approach to Cowles Mountain one of San Diego’s most popular hikes. 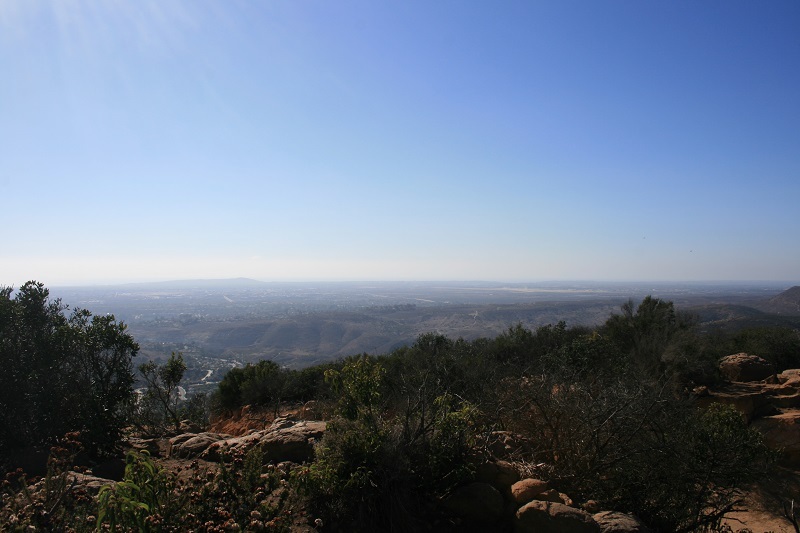 The 1,591-foot summit, whose name is pronounced “Coals”, is the highest point within the city limits of San Diego. 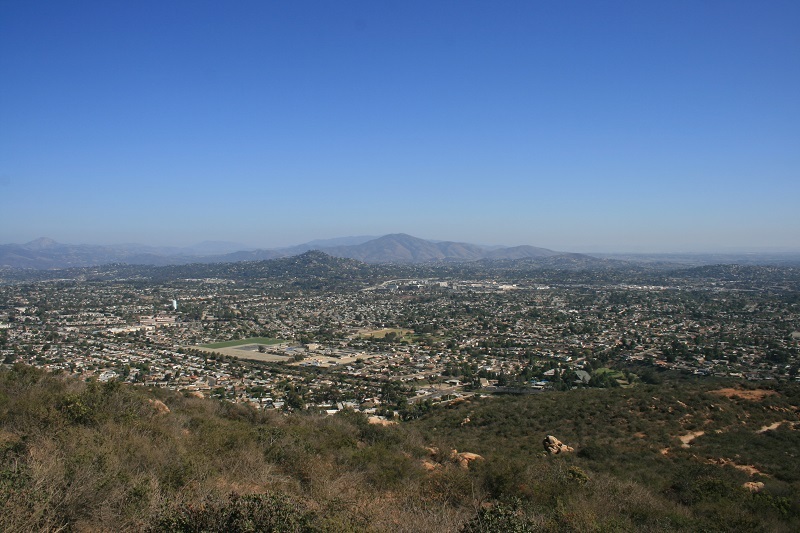 On clear days, the views include the ocean, Cuyamaca Peak and more; if visibility is exceptional you may see San Clemente and Santa Catalina Islands and El Toro Peak in the Santa Rosa range to the northeast. One thing you won’t have much of is solitude; of the various routes to Cowles, this one is the most popular. 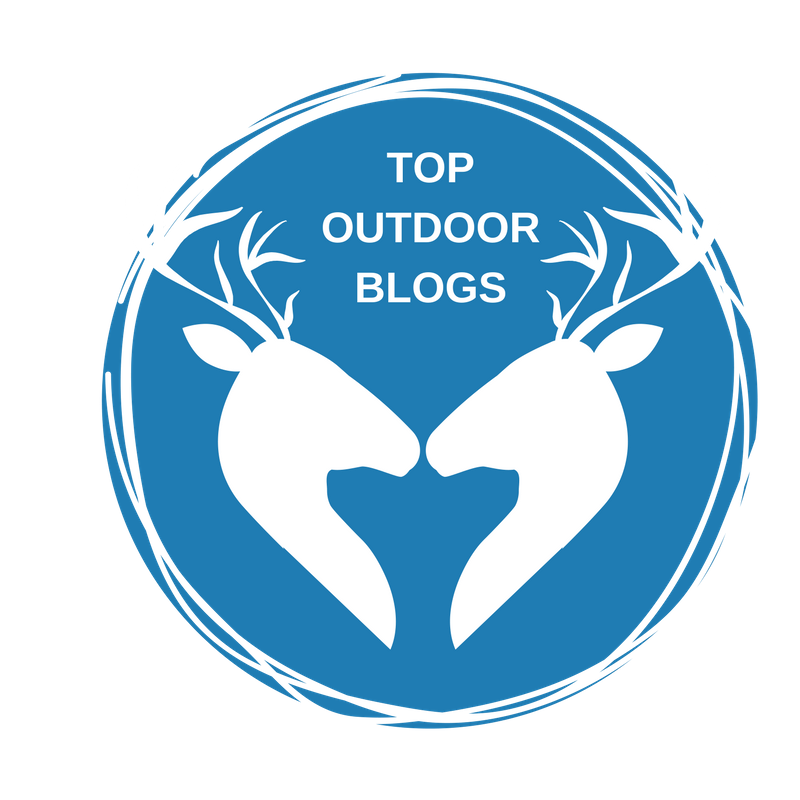 From the parking area, follow the signed trail uphill. Almost immediately, the views are excellent; notably Lake Murray to the south. 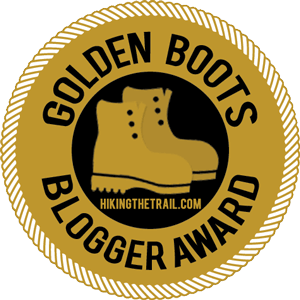 (While the virtual absence of trees makes for some terrific visibility, it also means the route is almost entirely exposed, so plan accordingly.) The trail ascends steadily with the large shape of the peak looming to the north. At 0.9 miles, you’ll reach a junction with the trail coming from Barker Way. Bear left, continuing your ascent. At 1.3 miles, you reach a T-junction. 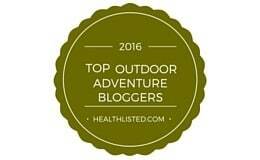 Head left and make the final push to the summit where you can enjoy the fruits of your labors. To the north, you’ll have a near-aerial perspective on the 52 Freeway. 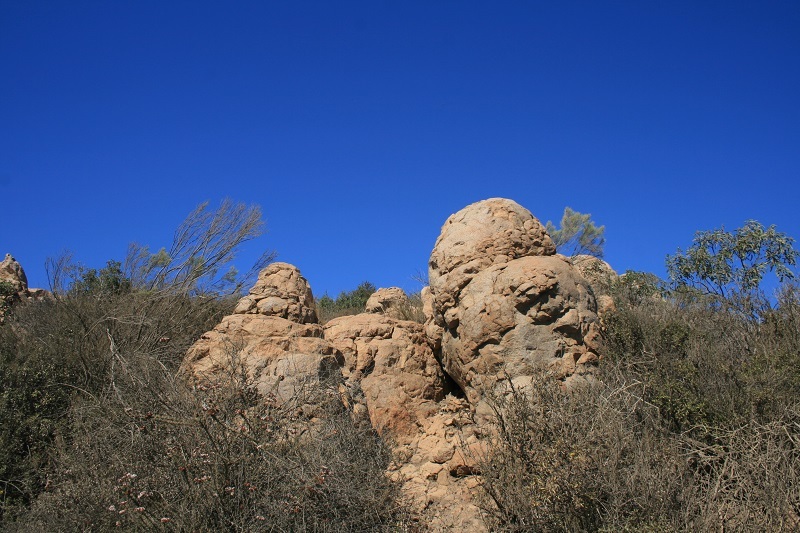 Rocky El Capitan dominates the landscape to the east; Viejas Mountain can be seen southeast. Interpretive plaques point out specific peaks, both in the park and beyond. As this is a popular hike with dog owners, several metal bowls for water have been left on the summit by previous hikers. After enjoying the view, retrace your steps back downhill, or if you have set up a car shuttle, you can descend via a different route, such as the east approach. 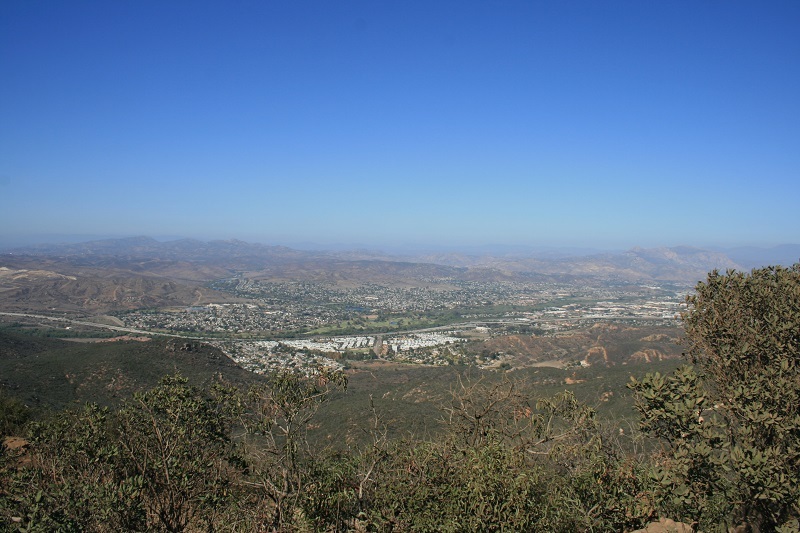 If you’re looking for a challenge try continuing to Pyles Peak, which despite being lower than Cowles, adds more than one thousand feet of elevation gain to the total hike. Love this little hike, but it sure can be hot!